good luk charlie. teddy is saying GOOD LUCK CHARLIE and theres photos of everyone. 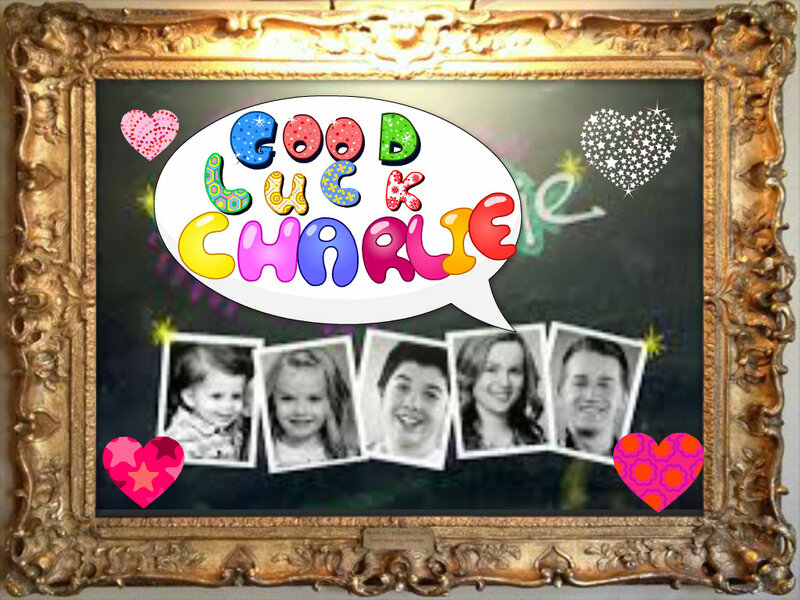 HD Wallpaper and background images in the Good Luck Charlie club. This Good Luck Charlie fan art might contain stained glass window.